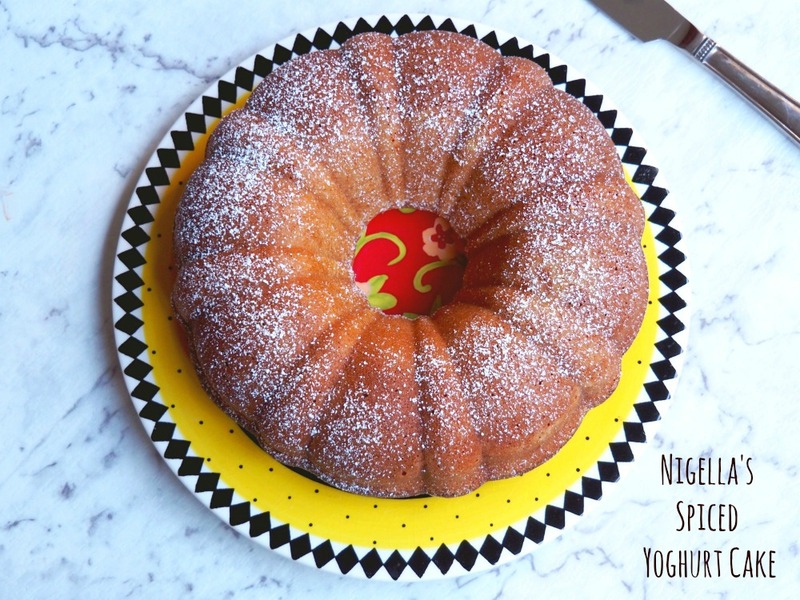 This delicious cake is made with sugar and spice and all things nice, especially yoghurt, which gives this bake such a wonderful texture. Anything with cinnamon gets my vote and this cake has value added ginger too, giving it a fabulous almost festive flavour. Of course, if you don’t share my enthusiasm for cinnamon and/or ginger, you can skip them altogether and double up on the vanilla for an equally flavoursome bake. 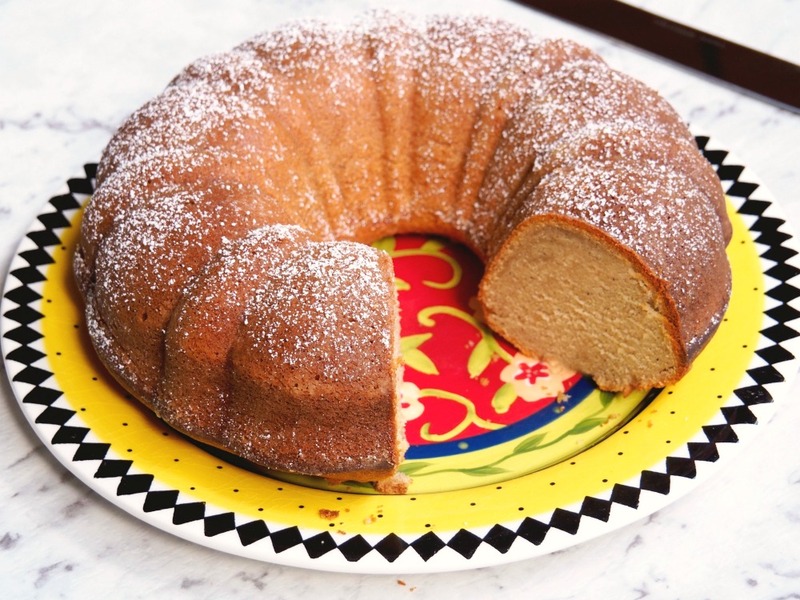 For a wannabe minimalist, I have quite a collection of bundt tins, I have a silicone bundt, this heritage bundt tin, a small anniversary bundt tin and a bundt brownie pan very similar to this. 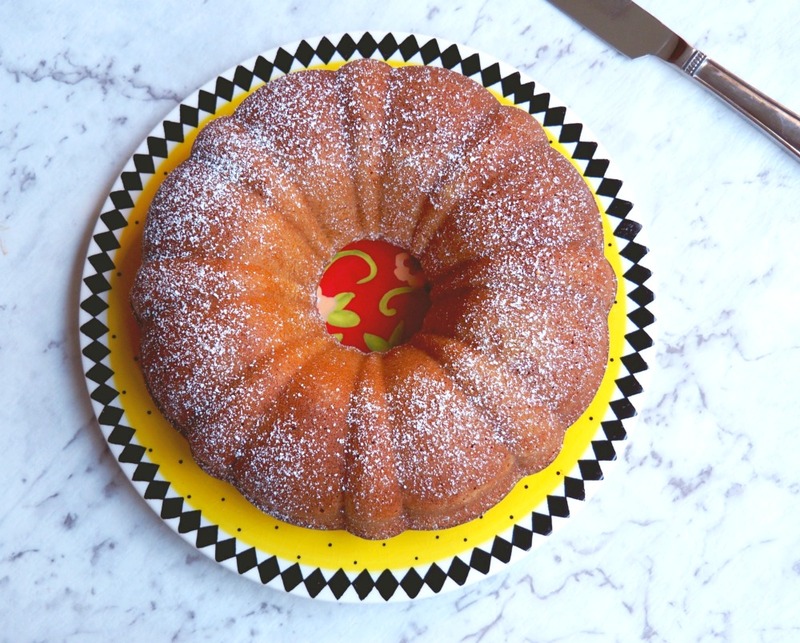 Asking me to choose my favourite bundt pan is like asking someone to choose their favourite child, but I can tell you some of my favourite bundt recipes like this Ginger Beer Bundt, these Mini Mandarin Bundts and this Sour Cream Bundt with Butter Glaze. 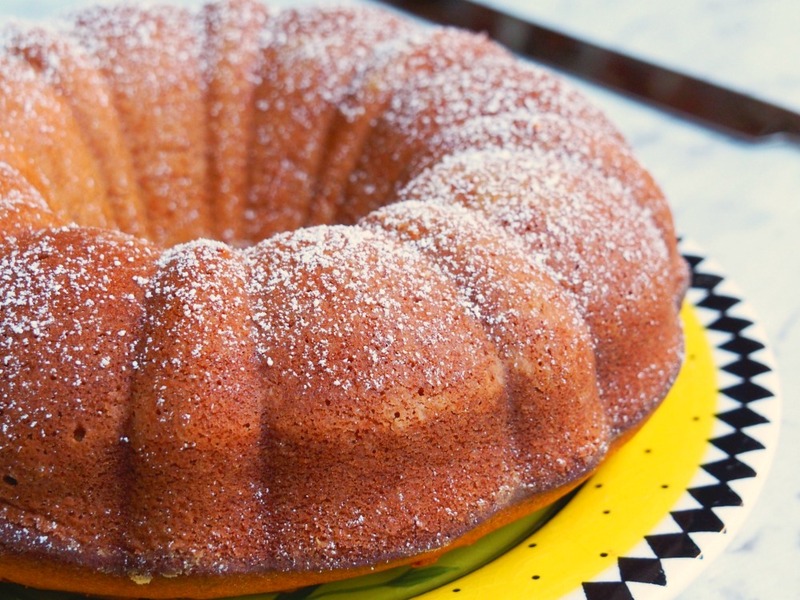 They’re just bundt-erful! When I first saw this recipe in Nigella’s Christmas book, the cake was baked in the most elaborate Christmas castle tin. I have coveted one of those tins for years but it’s incredibly hard to find and expensive to buy in Australia. My minimising heart just can’t justify it! But a girl can dream, can’t she? I might not have the same cake tin as Nigella, but I think my end result tastes just as good as hers, even though I reduced the sugar by a touch. What can I say? I couldn’t help myself! I’ve updated the recipe with some new pics and Thermomix instructions although whether you make this in a food processor or in your Thermomix it’s one bowl wonderful! 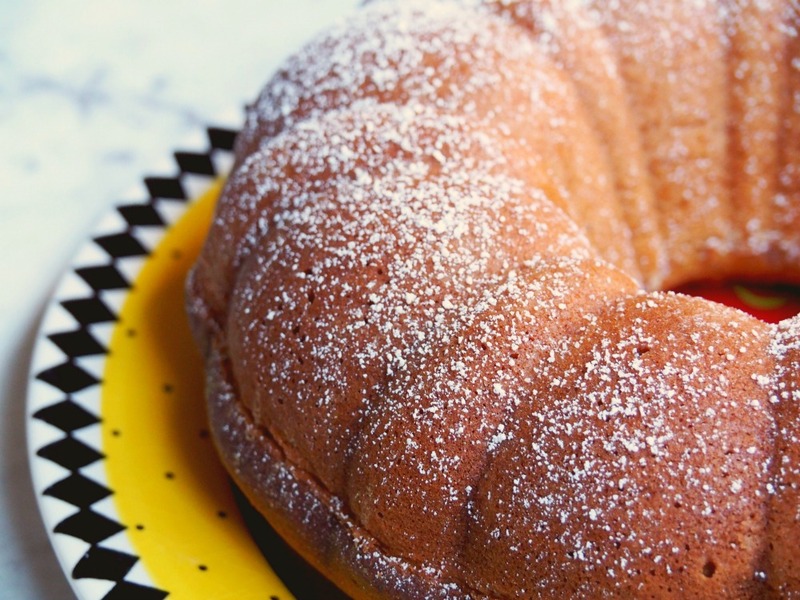 Have you got a bundt tin? Do you have any kitchen collections? Preheat the oven to 180°C/160C fan-forced and put a baking sheet in at the same time. Butter or oil a bundt tin really well. 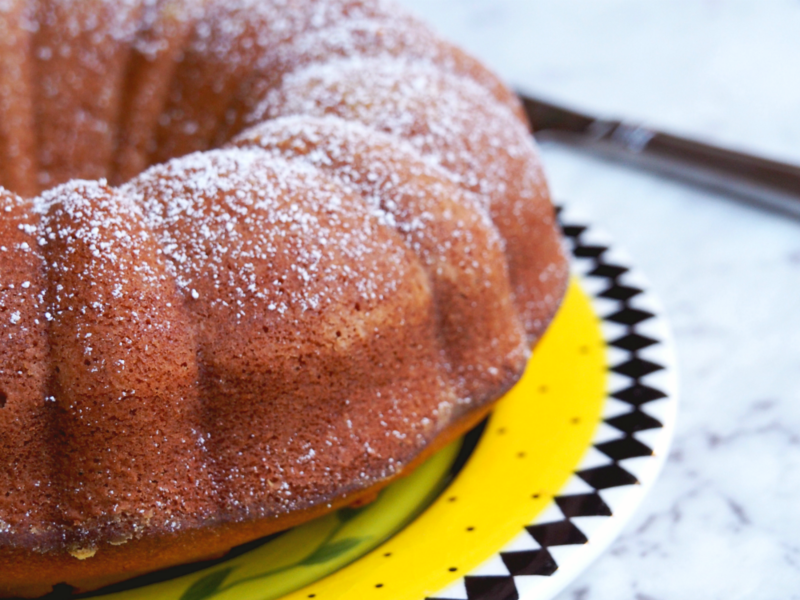 See my bundt tips below. Either put all the ingredients (except the icing sugar) into a food processor and blitz together, or mix by hand. If mixing by hand, first cream butter and sugar in a mixing bowl until light and fluffy. Then add the eggs one at a time, whisking each one in with a tablespoon of flour. Then, fold in the rest of the flour, and add the bicarbonate of soda, the spices, the yogurt and vanilla extract. Pour and spoon the mixture into the greased tin and spread evenly. Place the tin on the preheated baking tray in oven and cook for 45–60 minutes until well risen and golden. After 45 minutes, insert a cake tester in the centre of the cake. If it comes out clean, the cake is cooked. Let it rest out of the oven for 15 minutes. Gently pull away the edges of the cake from the tin with your fingers, then turn out the cake. Cross your fingers and hope for the best! Once cool, sift with icing sugar. Preheat the oven to 180C/160C fan forced and put a baking sheet in at the same time. Butter a large, regular or fir-tree shaped bundt tin (2.5 litres capacity) very, very well. Put all the ingredients (except the icing sugar) into the TM bowl and mix for 2 minutes on speed 5. Scrape down lid and sides every 30 seconds. Using the spatula, pour and spoon the mixture into the greased tin and spread about evenly. Place the tin on the preheated baking tray in oven and cook for 45–60 minutes until well risen and golden. After 45 minutes, insert a ckae tester in the centre of the cake. If it comes out clean, the cake is cooked. Let it sit out of the oven for 15 minutes. Once cool, dust with the icing sugar pushed through a small sieve, think of light snowfall on the Alps! BUNDT TIN TIP! Grease the bundt tin really, really well. Lightly dust the inside of the tin with some sifted flour before pouring in the mixture to avoid sponge sabotage! MAKE AHEAD TIP! Make the cake, turn out and leave to cool. Wrap in clingfilm and foil and store in an airtight container for up to 2 days. FREEZE AHEAD TIP! Make, wrap and freeze the cake for up to 3 months. Thaw overnight in a cool room.